In celebration of this weekend, one last Harry Potter post. 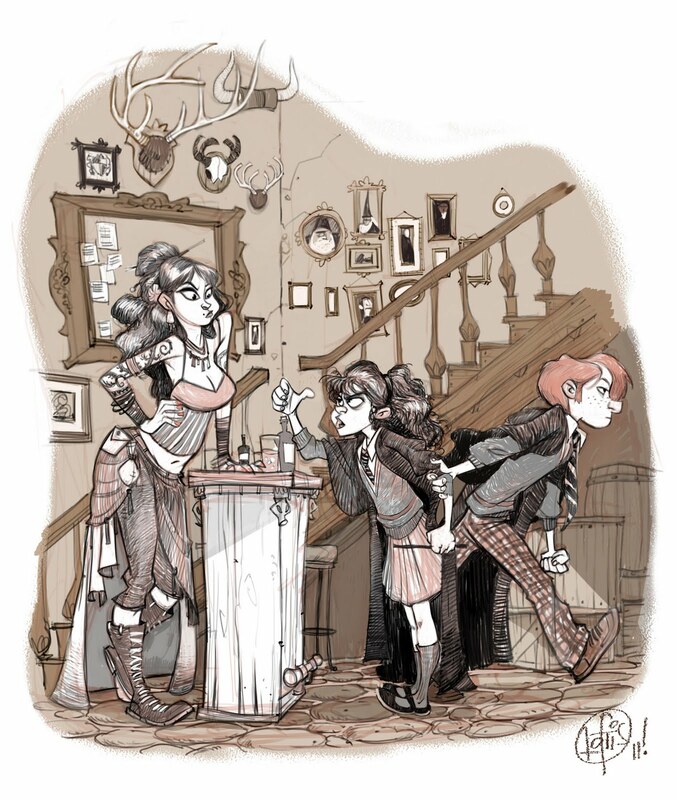 I love that Ron has a thing for Rosmerta, so I imagine Hermione wouldn't care for that one bit. I know she's never really claims her turf in the books, but she seems like the type that would. there is a great deal of style and expression. this is wonderful! love all of these harry potter posts. Love the drawing! Saw the Nucleus piece up close too...that was well done also. You are an amazing artist! I love your work! damn I love your drawings, they're so friggin animated! All kinds of cool, love the old school feel to it. always always love your work! p.s. 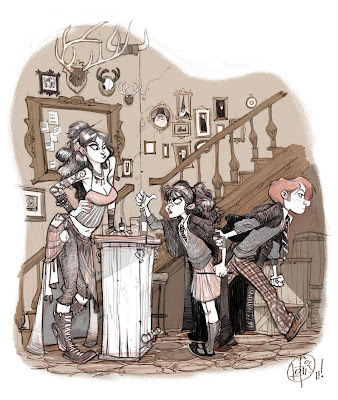 Hermione looks like talking to amy winehouse. god bless her soul. Cory, this is a feast for the eyes. with low calories even! you should definitely come draw with all your Carbine folk soon! hope all is well at disney. I'm really amazed at your style. Also, I like how you mute the colours. lovely expression and style! wow!!!! Just found your blog.. Thank you! New target for awesomeness.